Industry veteran to steer growth of RPM’s apartment and townhouse projects. RPM Real Estate Group, Melbourne’s leading full-service sales agency servicing the residential development industry, has announced the appointment of Cameron Yates as head of its burgeoning apartment and townhouse Project Marketing division. Mr Yates is an industry veteran, with more than 30 years’ experience spanning sales and marketing for some of Melbourne’s most prominent developers, builders and real estate agencies. He joins RPM Real Estate Group from Pace Development Group, where he was sales and marketing director for more than three years. Prior to this role Mr Yates was sales and marketing director for Hamton Development Group for eight years. At RPM Mr Yates will be responsible for continuing to grow its Project Marketing division, which specialises in selling and marketing medium and high-density developments across Melbourne. 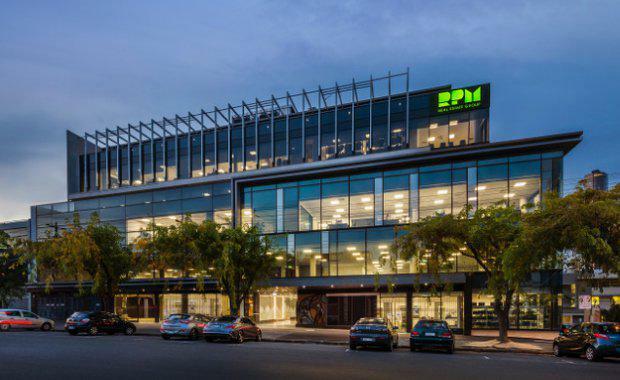 RPM Real Estate Group CEO Kevin Brown said Mr Yates’ experience, leadership, sales and people skills will enable the company to deepen its footprint in the medium to high-density market. “Cameron’s proven sales track record, ability to build highly effective sales teams, and exceptional client skills will further propel our Project Marketing division. “Under his leadership I’m excited at the opportunities Cameron and his team will be able to nurture in the inner-city and mid-ring market for our clients to get the best return,” he said. Commenting on the appointment, Mr Yates said: “RPM’s proposition is compelling. It’s full-service capabilities from acquisition, planning and risk mitigation underpinned by the most sophisticated in-house research, through to our first-class sales team to optimise value for our clients, gives me every chance to excel in this new role. ‘’Coming from the development side, I intimately understand developers’ mindset and drivers,” Mr Yates said. “I’ve seen every property cycle and market scenario, and in this industry, experience counts. With my hands-on, honest approach and tenacity to get the job done from start to finish, I’m looking forward to taking our Project Marketing division to the next level. “The medium-density market in the mid-ring is really gathering pace as buyers are increasingly priced out of the detached housing market. Hence many developers are moving into multi-townhouse developments. “Over the past 12-18 months an increasing number of townhouses and apartment developments are sprouting in suburbs that, historically, have been regarded as detached housing locations, such as the outer eastern suburbs of Glen Waverley, Mount Waverley and as far out as Lilydale, the middle north-west region including Keilor Downs, and the south east region including Cranbourne. “RPM is well positioned to capitalise on developer interest in this market segment as demand for affordable, convenient homes in desirable locations continues to grow rapidly,” Mr Yates said. The Urban Developer is proud to partner with RPM Real Estate Group to deliver this article to you. In doing so, we can continue to publish our free daily news, information, insights and opinion to you, our valued readers.